When the platter was laid before us, there was only one battle cry worthy of the occasion. Smashed our steins together, took a gulp, and dug in. No, we were not in a tent at Oktoberfest. 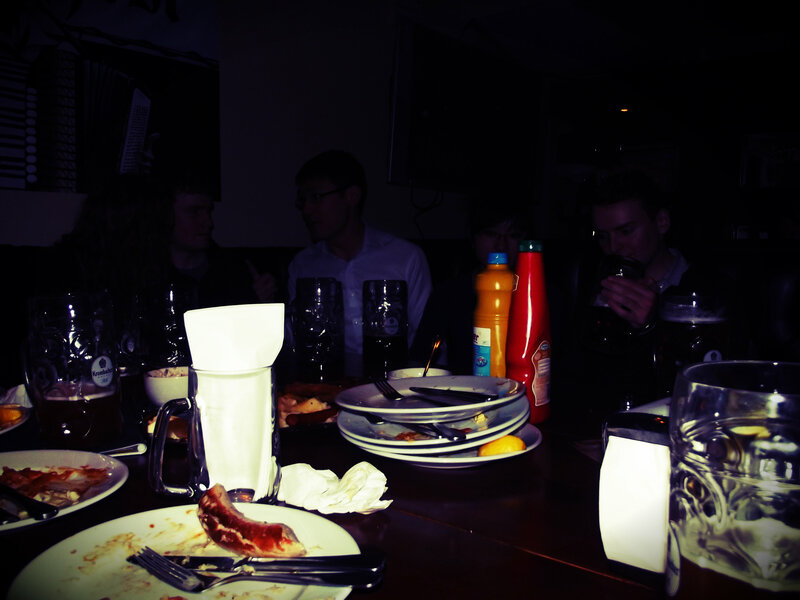 We were at Bierschenke in Westminster, London. It was a dark Friday night and the streets of London were chilly and unwelcoming. Bierschenke was exactly the opposite. We’d commandeered a booth by the bar and were perched on the high padded seats waiting for the feast to arrive. I like to think that at this point in my life I had had quite a taste of Bavarian food both in and out of Bavaria itself. 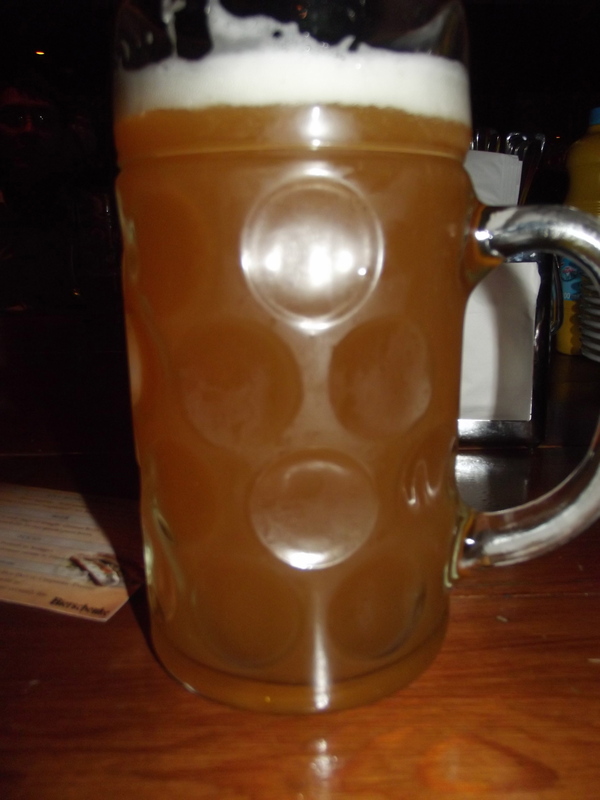 I’ve written about my visit to the Old Street Bavarian Beer Hall My 10 Great Things about London Part 1 so I was intrigued to see how Bierschenke compared. I’d also had a taste of authentic Bavarian cuisine after a couple of months spent in Munich. Ah, the benefits of having a Bavarian for a best friend. At the start of the night we had ordered two sharing platters, each for 5 people, and boy were they generous with the portion sizes. The mixed platters included Schnitzels, mushroom sauce, Bratwurst, Nürnberger, Frankfurter, Debrecziner, chips, mash and sauerkraut. It was like meat nirvana on a plate. Thankfully there was plenty of us to share out the food. A good chunk of the group were German as well, so we had some native palettes to test the food on. It got thumbs up all round. I’d like to say here that I’m not the biggest fan of meat and potatoes. I’m more of a fish/vegetables/salads kind of girl. 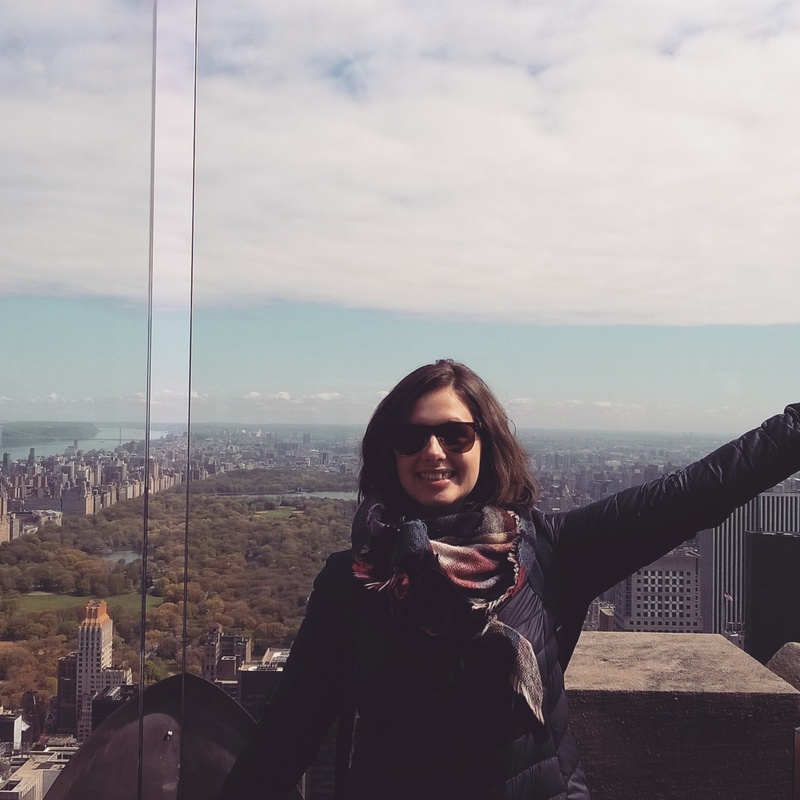 But when you’ve got a frothy stein of German beer in one hand and your mind is whirring back to that time when you bit into your first real German bratwurst in Munich, your stomach stops listening to your head. All you can think is: when can I start and how much can I stuff in my face before I become violently ill? So how does the Bierschenke compare to other Bavarian establishments? Well, I’m not sure it compares to a full Bavarian meal in a proper beer garden. There’s something about long wooden benches and the smell of outdoors that matches this sort of food perfectly. I felt like the atmosphere was much better than at the Old Street Bavarian Beerhouse; the dark underground room meant it felt cozy and intimate, which is a hard thing to achieve when you are with a big rabble of friends and it’s a packed Friday night. 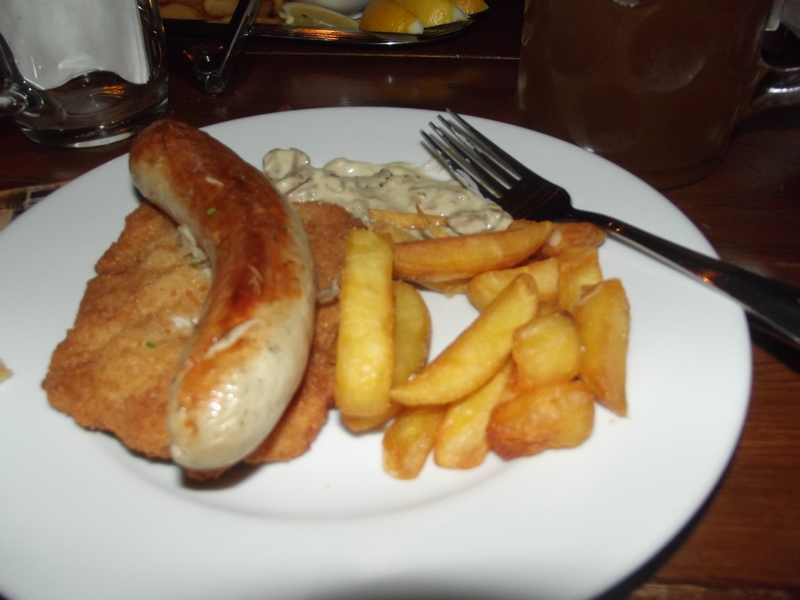 I also enjoyed the food and beer more than at the Bavarian Beerhouse. But I would add two caveats to that: since my Bavarian Beerhouse experience I have drunk a lot more German beer and become much better at handling it. Also, when we visited Old Street it was the night before two close friends went off on a ridiculously amazing three month trip to the other side of the world, and not only was I green with envy but I was teary with emotion. Trying to swallow a piece of schnitzel when your throat is already partially closed from trying not to cry doesn’t make for the best gourmet experience. Would I go back to Bierschenke? Of course. But only with a day’s fasting beforehand and a big group of people to help me mop up the last of the sauerkraut. 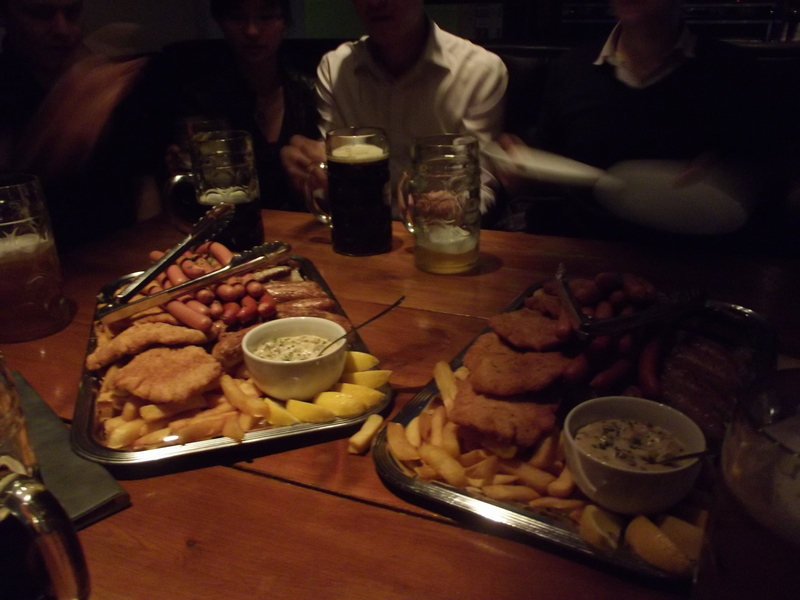 After all, I think that’s a lot of what Bavarian food is all about. Hearty food to be enjoyed with friends and family. 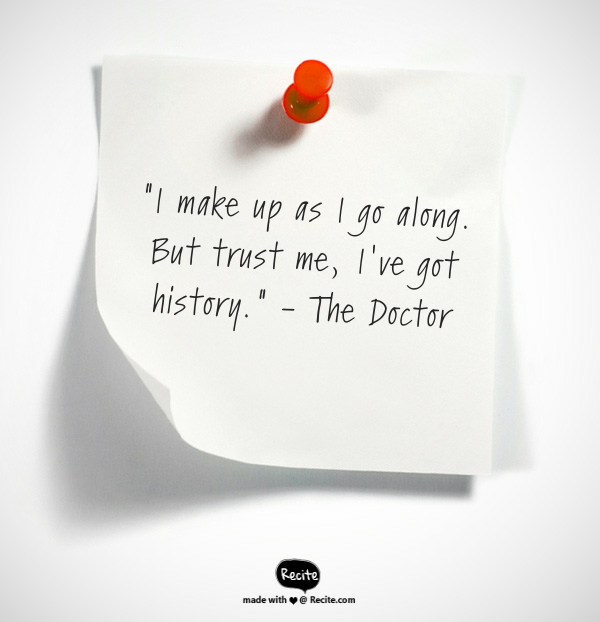 On a cold and rainy day at the end of a hard week of work in London, I couldn’t think of a better sentiment.